After Everett was born, I distinctly remember spending a lot of time on my couch. He was my first baby, after all. That's what you do with first babies. You breastfeed all day long and binge watch Netflix and eat a ton of Cheetos. Right? After Carson was born, I enjoyed two whole days of peace and quiet in the hospital, and then it was business as usual. Playdates, errands, laundry, dishes, Starbucks drive-thru, repeat. I hopped right into life with two kids, as remnants of my old life swirled down the shower drain, along with a quarter of my hair. It was almost as if I had something to prove the second time around. I've done this before! He's my second! This isn't my first rodeo! I totally know what I'm doing.....kind of! Needless to say, after being cooped up in a teeny tiny hospital room for a whole weekend, I was ready to hit the town when we got home. When Carson was four days old, I decided it was time for our first official family outing. I had a whole plan in mind: a short road trip to our favorite baby store to peruse double strollers, followed by lunch at the nearby mall next to their outdoor playground. It was perfect! We'd knock something off our to-do list, feed ourselves, and let Everett run off some energy. What could possibly go wrong?! First things first: it took us 2.5 hours to leave the house. I wish I was kidding, but that is not an exaggeration. Carson started fussing in his carseat as soon as we walked in the store, so I quickly took him out to hold him/bounce him/shush him. No big deal, just walking around this giant baby store with my five-pound, four day-old baby. Nothing to see here! Everyone was staring at me, as if they were half impressed that I had dressed myself, and half horrified that I was out in public with a baby that small. Meanwhile, Everett was running around the store from toy to toy, wanting All The Things. I ended up nursing Carson in the mother's room for a few minutes just to get him to calm down. 45 minutes later, we checked out with a bottle, two pacifiers, and a box of breastmilk storage bags. AKA: all things I could have gotten at Target. We did not look at a single double stroller. The mall parking lot was a total zoo, so we decided to go to In-N-Out instead. On our way there, Carson started crying in the backseat and I immediately regretted our decision. We were driving a tiny rental car because my car was in the shop and it suddenly felt like a clown car with all of us strapped inside. "Do you think we should just go home?" I asked Brett. We were almost there, and Everett was already asking for a grilled cheese. I bit my lip. Carson's cries were getting louder as we pulled into the drive-thru. I started to panic in that motherly instinct sort of way when you need to breastfeed your baby and you can't get to them. I saw a car pull up behind us and my heart started beating faster. Carson was officially screaming, and we were trapped in the drive-thru. "Grilled cheese?? Grilled cheese, daddy?" "Welcome to In-N-Out! What can I get for you today?" "Babe....what do you want to eat?" Everyone was talking. Carson was screaming. My head was on the verge of exploding. I felt claustrophobic, like the walls of the clown car were caving in. I was hot, and sweating, and could barely breathe. I could not hear anything over Carson screaming. There was a line of cars behind us in the drive-thru and all I wanted was for Brett to throw the car in reverse and get the hell out of there. "I need to get to Carson! I cannot listen to him scream for another second!" Brett looked at me, helpless. Confused. Concerned. "What do you want me to do?!" he asked. "Nothing!" I screamed. It was official. I had lost my mind. 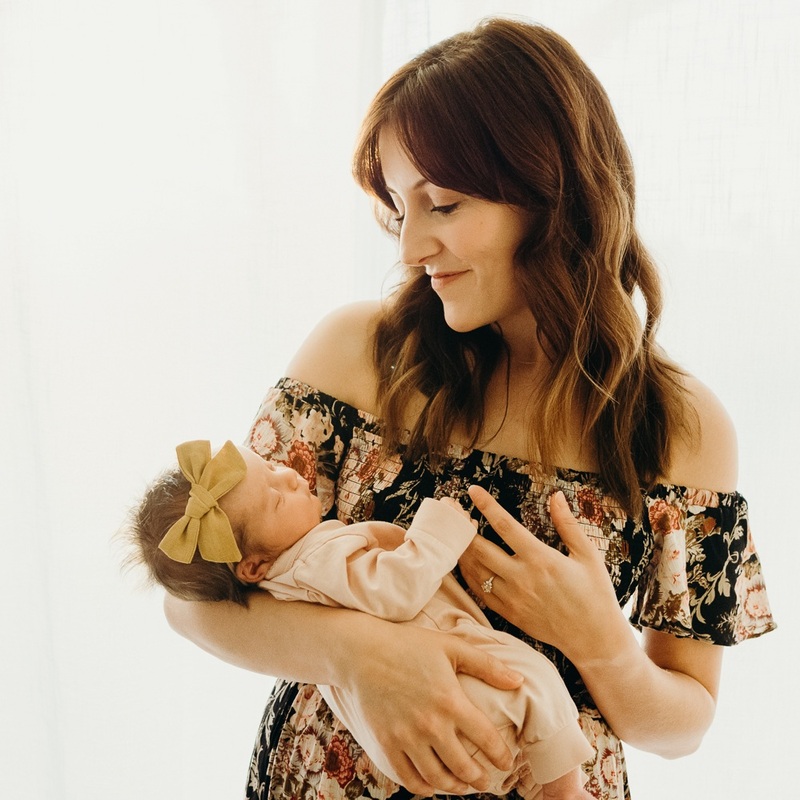 I grabbed my nursing cover from the diaper bag, threw open the tiny door, stepped out of the car into the middle of the drive-thru with tears streaming down my face, and proceeded to extract my five-pound baby from the backseat. I carried him through the drive-thru in front of the parade of cars and curious onlookers---choking back sobs---to a nearby picnic bench where I could feed my baby in peace. It was 102 degrees outside, but I didn't care. I needed space. I needed to breathe. I needed to get out of the itty bitty rental car with the screaming newborn and the whining toddler and the husband trying to order burgers. It was Too Much. I ate my cheeseburger in silence on the drive home. "Are you okay?" Brett asked. "Yeah," I answered honestly, "I just want to go home." As soon as we pulled into the garage, I felt a wave of relief wash over me. I promptly changed out of my adorable and flattering maxi skirt and got back into my favorite black sweatpants. I threw my hair in a messy bun and grabbed my five-pound, four day-old baby from the carseat. We curled up together on the couch with Netflix and a bag of Cheetos, right where we belonged.